The Lazy Spa Paris is the latest edition to their range, released for 2016 it has new features and an improved design. 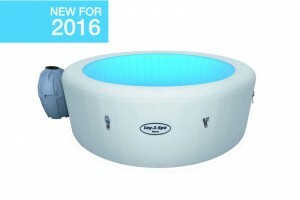 But how does it compare to the very popular Lay-Z-Spa Vegas hot tub? We compare the two models and outline the differences, both hold 4 – 6 people and the size is very similar, however there are some differences which we outline below. First off the differences in size between the two are minimal, the width and internal diameter are both the same, the key difference is the height, the Paris is taller with a height of 66cm compared to 61cm of the vegas spa. The extra height means the Paris hot tub holds more water and also means that the water is going to be higher up on your when relaxing in the spa, it is more likely to cover your shoulders. 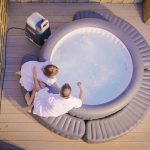 The new Lay-Z-Spa Paris hot tub has new features not seen on other inflatable jacuzzis on the market, the LED lighting system is something that looks and works so well. LED waterproof lighting is incorporated around the edge of the spa and creates a relaxing and fun lighting effect that really does look great. There are a choice of 7 colours to pick from or it can be left to auto fade between them. Included it a waterproof remote to easily control the lights without having to move let alone get out. This new feature can only be found on the Paris jacuzzi. 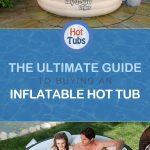 Other differences include the pump, the Paris hot tub has a timer built in allowing you to set when the heating pump kicks into action, this is great for setting up to ensure it is up to temp when you come back from work, or for heating at night when your electricity will be slightly cheaper. Both hots heat up to a blissful 40 degrees Celsius and have but in air jets. The Lazy Spa Paris comes with a floor protector mat that is slightly bigger than the hot tub, this is useful addition as the Vegas hot tub does not include this. Both spas are quick and easy to set up, no tools are required and a handy DVD guide is included just incase you get stuck. We have put together a handy table below that compares the Lay-Z-Spa Vegas with the new for 2016 Lay-Z-Spa Paris. 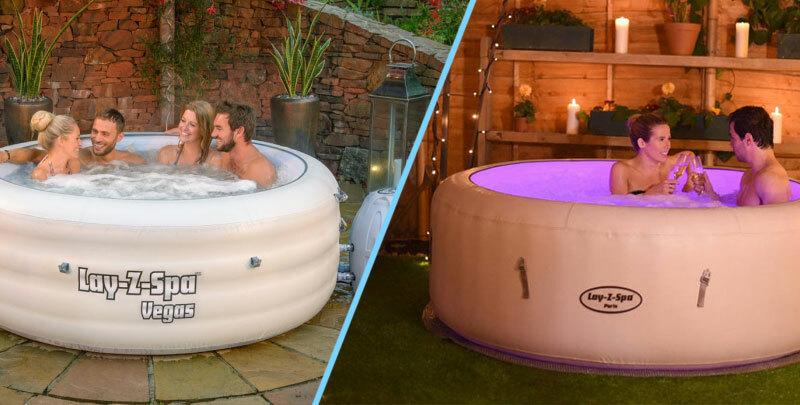 This comes down to you and how much you wish to spend, however we would certainly recommend the Paris Inflatable Hot Tub as it is the latest model, it has some nice refinements to the heating pump and the LED lighting system really is great and worth the money. Whichever you go for they are both great hot tubs and won’t let you down.